Finding a self build or custom build plot is hard work, so we have listed the top 12 locations and ways to find suitable building plots. If you use these sources we are sure you will find a plot that will suit your self-build aspirations. This is a list prepared by our experience and designed to assist you to find the plot that will allow you to get on with your self or custom build. We also offer some suggestions for resources that will help and support your search and should reduce the hard work – a little! If you are struggling to get on the property ladder or are looking to create your own unique living space Self-building or even Custom Builds are a fantastic way to do this. However one of the biggest hurdles that any aspiring self-builder needs to overcome how to find a suitable plot. In our project all about how to find land for self building we cover the different types of plot that you might be looking for and the differences between self-builds and custom builds. Here we focus specifically on the sources and places to find plots. There are different approaches to building your own home where you can do more or less depending on your situation and how much you are willing or able to do yourself. This will determine the type of plot that you are likely to need, so it is worth deciding this before you start. We are going to assume that you already know about this so we can focus on where you can find the right plot for your build. (Have a look at the link above if you’re still unsure). That said we are going to suggest that you remain as flexible as you can – there is a lot of competition to find plots and not just from other self-builders, but also from seasoned developers and builders who will tend to have a head start on most individuals. It is not as bleak a picture as we seem to be painting – there are huge opportunities for the self-builder if you know where to look for a plot and have done your home work. It worth ensuring your finances are ready so you can move fast if you need to. This comes with a minor health warning, because this is a source of land that you simply have to approach but you have to recognise you are likely to be at the back of the queue. Most agents will prefer to sell to local builder and developers who they have an ongoing relationship because once the builder is finished he is likely to put the house back on the market with the agent. This way the agent knows he’s likely get more commission from them rather than you. With the likes of Zoopla, RightMove and On The Market it has never been easier to scour the listings of multiple agents quickly. While it is quick and convenient you can bet that anyone else from other self-builders to the hardnosed developers have the same or similar property alerts set up, so competition will be fierce. We use this as a back stop. It is very low effort, but to get a “steal” you will probably have to work harder. These tend to be agents who have an auction department, but can be specialists. It is worth singling these out and getting your name on the lists. Go to the auctions and show that you are a serious and committed buyer. You will suffer from the same problems as dealing with normal agents preferring developers and builders, but at least in the auction there can be no bias. There is nothing to stop you trying to buy the plot before it gets to the auction; some sellers might be keen on the certainty that this will bring while others might prefer to take their chances in auction. It’s worth a try. 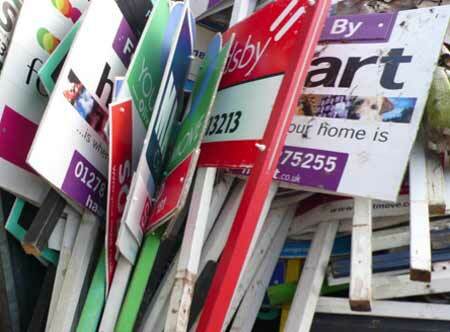 There are a range of sites and directories that specialise in listing building plots. On the whole you will have to pay to subscribe, but the fees as not exorbitant in the scheme of things. Some of the most effective include Build Store’s Plot Search, Plotfinder and Plotbrowser. We have found that there is a lot of overlap between these sorts of sites so there is no need to subscribe to all. Plot Search is as good a place to start as this service is free. These are people that work for you to find (and negotiate the purchase) of land. Typically they work for larger developers and are used to finding plots for multiple houses so your search will not typically appeal to them as they usually get a percentage commission and a single plot won’t attract the same amount of commission. There are some organisations that do work with self-builders like The Landbank Partnership, which is a good place to start but you will do more work yourself. Local Authorities now have an obligation to ensure that there are enough self-build plots available for any self-builders and custom builders who are looking. This is mostly aimed at ensuring that plots with potential do not get stuck at the planning stage, but you can register your interest and then they should make a plot available for you. Register at the Right to Build Portal. All planning departments will publish the details of any land that has had a planning application made on it. The “old school” way was to go to the planning office and trawl through the records to see if there might be something suitable and then contact the owners to catch it before anyone else did. This way you might even get it a little cheaper as it might not have had planning approved which boosts the value and therefore the cost to you considerably. Nowadays most planning departments publish the records online so making this task so much easier! Tell friends, family and anyone in the area about what you are looking for. If you have lots of eyes and ears helping you something is likely to crop up. This seems to be the most unlikely way to success, but we hear so make stories about how it has worked, and even experienced it ourselves. In these days of Social Media, harness the power of the connections you have there and put the word out on Facebook, Twitter, Instragram or your social media of choice. It’s not going to hurt and you never know. While typically builders will be competing with you to find a choice plot, some might help you, particularly smaller builders, who don’t want the risk of developing a plot themselves. They might insist on building the home for you, which can be restricting and more expensive. There are a whole host of other professionals active in the self build market who will not be competing with you for land and have an interest in helping you. 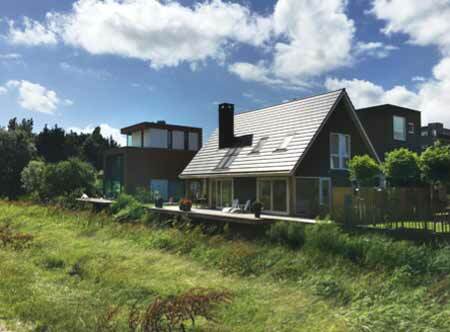 Approach architects, companies that provide solutions to self-builders, such as kit suppliers. Buildstore are one that we have already mentions with their PlotSerach service, but there are many more like Potton or custom build companies. Scour the local papers and parish magazines for ads for local plots which come up from time to time. This is hard work so you might consider advertising yourself as some looking for a quite plot to build a family home. This will make you much more attractive than a builder or developer to anyone thinking of of selling a chunk of land they might be sitting on. Sometimes this is the best way. It is hard work but go and look for land that has potential, knock on doors and see who owns it and if they might be willing to sell. Eventually you might get lucky, especially if someone needs a little extra money for an unused piece of garden. You have a better chance if they recognise that you are not a developer but some looking to be a good neighbour. Drive or walk around and see what is available. We stumbled across a plot like this; the owner was advertising it with a sign on the road as they didn’t want to use an agent! Institutions such as universities or schools sometimes have land they want to get rid of to raise funds. Put a call into the estate departments for any institution that might have land in the area; the MoD, Farms, Network Rail, or even the council. You never know your luck, and it only takes a call or two. And one final source of great building plots (none likes to have a list of 13! ), are the custom build communities and companies. We cover these in greater detail in our project about the different types of self build plot. In summary, there are projects either driven by local authorities or private companies to offer mainly custom build homes in large sites that have been made available. Typically there are a range of prices and levels of self- build input available. 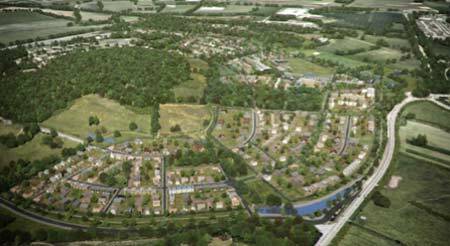 The “poster boy” of these is Graven Hill Village in Bicester where 1,900 plots have been made available on a single site, but there are more around the country. Even with all the help and focus that the new policies have promised to provide to self-builders finding a suitable plot is still one of the biggest challenges. It takes a lot of hard work, determination and often a large helping of luck to get a plot. And even then you might need to be flexible an accept compromise to get a plot at all. Finding a plot is hard work; you are going to be competing against Developers and Builders that do this for a living. 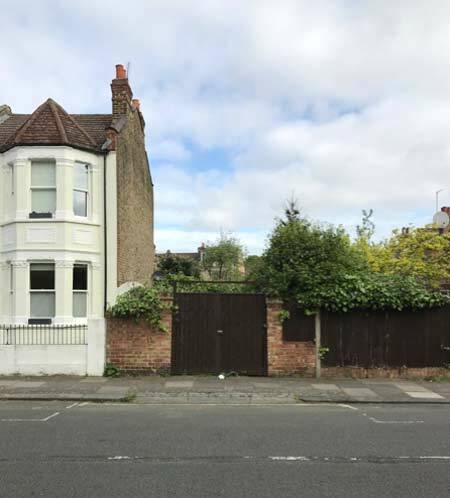 The good news is that if you sell yourself right you are always going to be the preferred buyer – no one want to sell the end of their garden to a developer all else being equal. And if you are clever you will not compete directly as they will potentially not be looking for the same type of plot as you. There will always be compromise so if you start flexible you will have a better chance of finding a building plot that suits your budget and aspirations. Start early, work at it and you will be lucky!